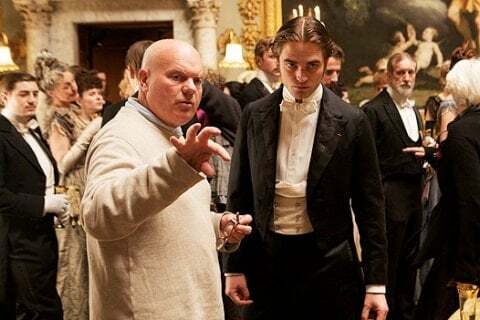 The period drama Bel Ami doesn't yet have a guaranteed U.S. release date, but it does have an ace in the hole that pretty much guarantees it'll get one: Robert Pattinson. The Twilight hunk of vampire meat stars in the film as a man sleeping his way through high society in Belle Epoque Paris, and while this probably will make for a more mature, interesting role for the actor than playing Edward Cullen, it means he'll be making out with ladies. Lots and lots of ladies. 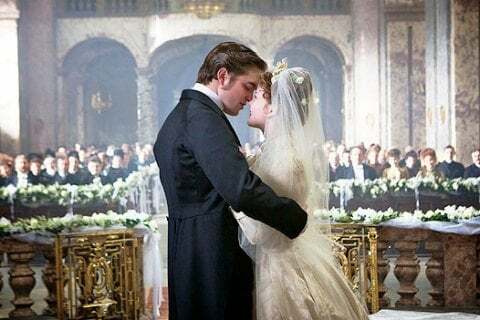 And the producers behind Bel Ami, being no dummies, have released five new photos that emphasize over and over again just how many ladies RPattz will be snogging. In the five images, four of them involve Pattinson kissing a woman, snuggling with a woman, or looking sensually into the eyes of a woman. The fifth is of him with someone who appears to be one of the movie's two directors, Nick Oremerod and Declan Donnellan. The sexual tension in that photo is slightly less palpable. Check out the five new images below, which showed up at the Russian site Spletnik (via Movieline). The movie also stars Christina Ricci and Uma Thurman, who can be seen canoodling in those photos, as well as Kristin Scott Thomas and Colm Meaney. You can check out much more of Pattinson's seduction skills in the movie's trailer, which hit in July and is embedded below. Try to avoid throwing your underwear at the screen, if that's your thing.